"Icarus Redeemed" is a candid recounting of the author's descent down the rabbit hole of madness into a world rife with demons, saints, and delusions of grandeur. Depression drove him to the edge of a cliff, where he stood precariously, just one short step from his demise. 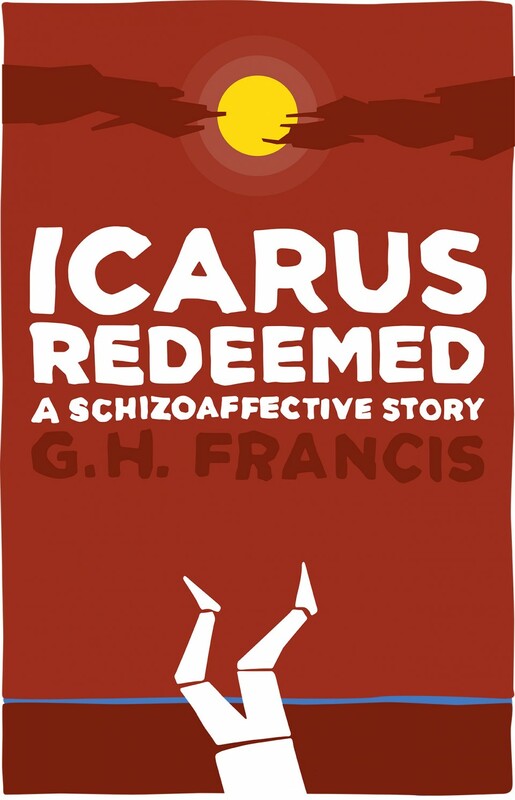 Drawn from personal memory, journal entries, and interviews with family and friends, "Icarus Redeemed" takes the reader on a journey through the dark and twisted passageways of one man's struggle with mental illness. A great book for anyone affected by schizoaffective disorders, bipolar, schizophrenia or any form of mental illness. Whether you have a mental disorder, are a friend or family member of someone who does, are a health worker, or are just plain curious, "Icarus Redeemed" is a story of hope in the face of unimaginable adversity. A captivating read and a first hand journey deep into the schizophrenic mind. Despite the heavy subject matter, Francis manages to inject humor into story with accounts of actions done in the manic state to what its like to spend time in a psychiatric hospital. I recommend for anyone that has been diagnosed or has someone close to them with schizophrenia. As demonstrated, the disease is treatable, and with care one can still lead a fully productive and rich life. A gut-wrenching and honest first-hand account of one man’s experiences with schizoaffective bipolar disorder. Francis ably takes the reader from his first onset of symptoms and through his darkest and most difficult trials of mania, all while seeking the right approach to managing his illness. A must-read for anyone who knows someone who is suffering with this disorder, or anyone who is trying to understand how best to help people with mental illnesses. First hand, honest account of life with mental illness. Powerful story of triumph. A writer since the age of 19, G.H. Francis was first diagnosed with Bipolar II at the age of 21. Later, psychiatrists would determine his actual diagnosis to be Schizoaffective Disorder of the Bipolar Type. For many years he struggled with the disorder, which resulted in 3 hospitalizations due to mania. Through hard work and perseverance, he learned to manage his disorder and has written Icarus Redeemed for others who are coping with a mental disorder, whether those diagnosed themselves, or family members and friends wishing to learn more. Through his experiences, he hopes you can learn and gain hope that things will get better, because they will.